Distributor / Channel Partner of a wide range of products which include Ingersoll Rand Air Compressor, Small Rotary Screw Air Compressor, Unigy Air Compressor, Screw Dry Stationary Air Compressor, Centrifugal Oil-Free Stationary Air compressor and Screw Oil Injected Stationary Air Compressor. 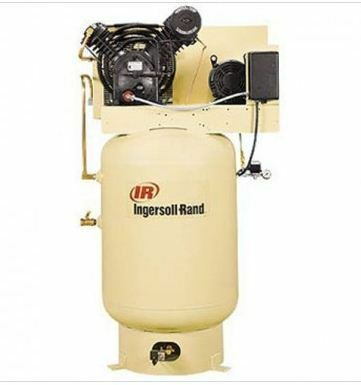 With rich industry experience & knowledge, we have been able to provide the best array of Ingersoll Rand Air Compressor. Our organization has successfully expanded its business in market owing to the offered elevated quality range of Small Rotary Screw Air Compressor. As a quality driven enterprise, we are engaged in providing a beautiful range of Unigy Air Compressor. We are remarkable entity, engaged in offering superior quality Screw Dry Stationary Air Compressor. Being a noteworthy enterprise of this industry, we are offering a wide spectrum of Centrifugal Oil-Free Stationary Air compressor. Owing to the efforts of our skilled professionals, we have been constantly engaged in offering a qualitative assortment of Screw Oil Injected Stationary Air Compressor. Usage: Pneumatic brake systems, rail vehicles, etc.